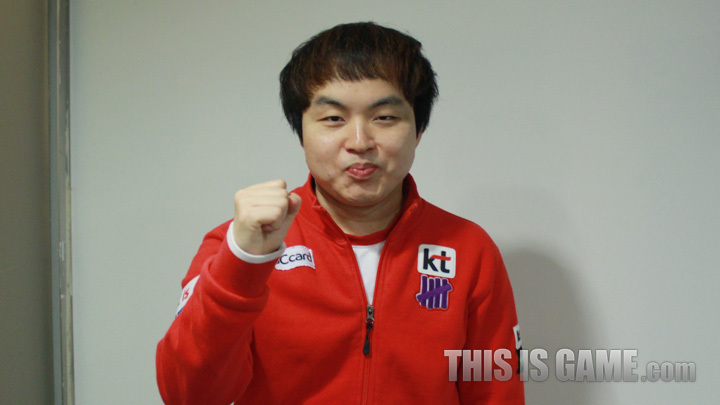 [Interview] SPL CJ vs MVP / KT vs Prime winners. 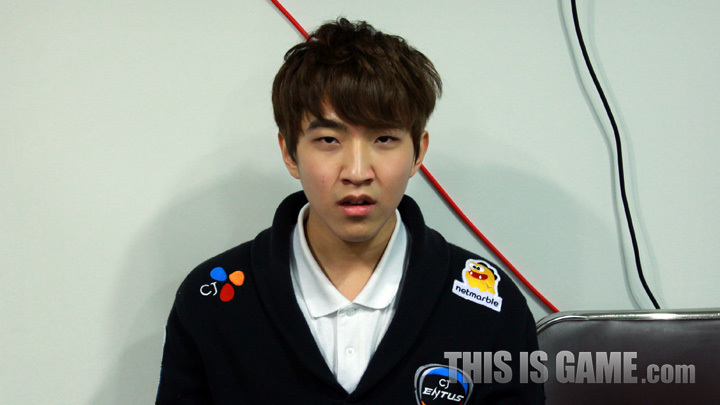 herO - "I'm asking for your support"
CJ Entus, putting their faith in their skill. Your team succeeded in getting out of last place. I felt melancholy after seeing our team drop to 8th after I lost my last Ace Match, so I feel a little better after taking that victory. It was disappointing how you lost the 2nd map. It was disappointing to lose what I thought was a really complete game on my part by missing one thing. I lost the mini-map for a second, and in that second I let a fungal growth happen. Were you scheduled to come out for the Ace Match? I did lose in the 2nd map, but I was playing well so there were no worries about coming out for the Ace Match. Was that a prepared strategy for the Ace Match? It was a prepared build. It's also the build that I feel most confident with. Before the season began, people pointed to CJ Entus as being one of the stronger teams, but you've had a sluggish start. I'm not sure. Before the beginning of the season, people did rate us as one of the stronger teams but once the season started our results haven't been great. We're all playing well in practice, but it's frustrating losing so much in the broadcast matches. One thing that we've realised is that we're not analysing our opponents as much as the other teams. I think we blindly trusted in our own skills too much. You'll be going to IEM Sao Paulo. Are you confident? At the moment, I'm confident in every game. It's a 20 hour flight, but if I can get through that OK, I think I can win the whole thing. What are your resolutions for the second round? I'm learning a lot every game. I've had a lot of stress too, but I think I can show better games in the second round. We've had a outstanding player in Hush emerge too. We haven't had a Terran win in our team, but we had one today. I think the beginning is hard, but since we've got those first wins the future looks bright. When I look at the community sites, it seems like there's a lot of disappointed fans. I understand why you'd be disappointed but I am working hard so I'd like it if you kept cheering hard for me. I want to thank the players that go into the matches with me tirelessly, and the coaches that constantly advise me. Action - "KT Zergs aren't weak if we do plenty of preparation"
You've recorded your first win for the season. It was more important to make our team first place, then for me to get my first win. I wanted us to win 3:0 no matter what, so it was a relief to win my game. How do you feel, after ending a 10 game losing streak? I'm not one to get tense while playing SC2. I wasn't able to concentrate, and kept having other thoughts, because I kept losing games. This time, I was able to get some help with my psyche from the team and it helped a lot. I think this time I was able to not think too much about our teams ranking and play, which was what let me win. Did you think that you would lose today? I knew that it was an immortal timing. I checked my opponents army, and it was really big. I thought it would be difficult to fight, but it worked out. If you could say something on behalf of the KT Zergs? People keep thinking that we're weak, but I think if we practice and prepare a lot we can win, like I did today. Now that we're looking at the play-offs for this round, I'll do my best no matter what team we face. Action pictures are the greatest thing ever. Action is one of my favorite players from BW. I`m glad he did well in his last match. Go mafia zerg! KT Zergs have 100% win ratio in Proleague. KT Protoss lineup is 100% in Code S.
KT Terran lineup has the 2 best players in Proleague by win record. Haha I love Action. I miss all the KT Zergs doing well. It's weird to see herO looking like that. He's very photogenic generally speaking. He looks bored and tired... and on heroin.